Last month on an east coast college tour with my daughter, I found myself in North Carolina for the first time in nearly 24 years. I had last been in Chapel Hill on a winter’s day in 1986, traveling with the VP of Sales of our new supercomputer startup, Ardent. We were on the University of North Carolina campus to meet with Fred Brooks and Henry Fuchs. We just turned on the rental car radio as we entered campus and heard the mid day BBC news – the space shuttle Challenger had just exploded. Ardent would be my third technology company as a VP of Marketing (Convergent Technologies and MIPS Computers were the other two.) It would be the company where I actually earned the title. This is the first of a series of posts on the company. After I left MIPS Computers I was in New York tagging along with a friend (a computer architect whose products at Apple a decade later would change the shape of personal computing) who was consulting for a voice recognition startup. We were sitting in our cheap hotel room when the phone rang. It was my ex boss from Convergent Technologies, “Steve we’ve all just resigned from Convergent and we’re starting a new company. I’ve convinced the team you’d be perfect, come join us as the VP of Marketing.” My ex-boss was going to be the VP of Engineering and I would report to the CEO whose marketing acumen and sales instincts seemed at the time to be telepathic and sense of theater was legend. And so was his reputation for being verbally abusive to his direct reports. Gulp. Working with my old boss sounded like a great idea. And in the course of the phone call I put my friend on the phone and let him interview for a job. On the ride to the airport my friend asked me what our new company was going to do. Only then did I realize we both forgot to ask. The first idea for our new company was a software product that looked something like Hypertext. With a bit of research it turned out that a professor at Brown University had invented something close to what we had in mind. The VP of Sales and I flew to Providence to convince Andy van Dam at Brown to join our company, or at a minimum lead our advisory board. On a rainy day in Providence we tracked Andy down just as he was leaving for a trip to Europe. He agreed to talk to us as he packed his office, and we followed him down the street as he went to get a haircut. With me holding the umbrella our VP of Sales kept reminding him how wonderful it would be if his research could turn into commercial products- all as we all walked downtown to the barbershop. While van Dam sat in the chair getting his haircut, the VP of Sales and I flanked him on either side, with the barber trying to get his clippers in between us. We were painting a picture of hypertext on every desktop computer. I knew we almost had him convinced when our sales guy and Andy started talking to each other in Dutch. As the conversation began to get down to how much stock and salary we could offer van Dam, we left the barber to finish his work and went to a payphone to call our CEO to confirm the deal. The response from across the country? “Glad you two called, we were trying to get a hold of you guys. Forget the Hypertext idea and come on back to California. We’re building a supercomputer.” Oops. We told Andy we’d talk further when he got back from Europe. Back in Sunnyvale my friend had not only been hired but had convinced the team that we should be building hardware – making a new class of computers not a software application. Our vision was that just as the PC was revolutionizing the business market, we were going to do the same for scientists and engineers. We were going to target scientists and researchers who were longing to do “interactive simulations,” requiring both scientific computing and visualization of real-world phenomena. We were going to invent a new product and create an entirely new market by putting a personal graphics supercomputer on every desk. To do that we needed to build a supercomputer, but since the RISC processors weren’t fast enough, we decided to build a multiprocessor supercomputer, (running up to 4 processors in parallel.) 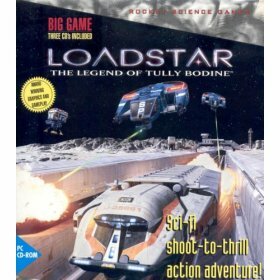 We had to write our parallelizing and vectorizing compilers and build our own high-end graphics boards, and write our own 3d graphics subroutine language – and put in all in a box that could fit in an office. Oh, and since it was not code compatible with anything, we were going to have to port all the key scientific applications our customers needed (as soon as we figured out who they were.) 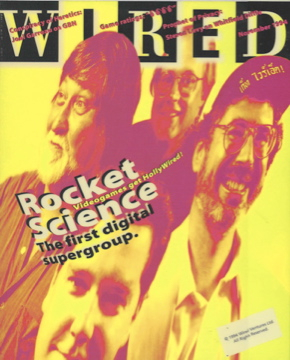 Some of the other founders had sold minicomputers to scientists and engineers, but no one knew or understood the unique class of applications and customers of supercomputers. We were going to be guessing. Personal supercomputers meant yet again learning something completely new; new computer architectures, new applications and customers, new markets. I couldn’t believe they were paying me to do this job; I would have gladly done it for free. I would learn a ton from Gordon for over a decade, not only about practical heuristics for managing complex engineering projects (i.e. the “schedule fantasy factor,”) or his eleven rules of supercomputer design but also a real appreciation for how a technical visionary thinks. (I tried my best to narrow the time that I went from believing that Gordon had yet another insane idea to when I realized it was a profound insight.) It was a challenge to keep up with him (I never did) but it was fun to try. At the same time Gordon was looking forward, he had a great appreciation of saving the past. He and his wife Gwen would found the Computer Museum, first in the lobby of DEC headquarters, then in Boston (and now as the Computer History Museum in Mountain View, California.) When our kids were little they would play with the computer artifacts (Napier bones and Pascal engines) scattered across their living room and overflowing their shelves when we stayed at their condo in Boston. My first inkling that computing had a history (with deep military connections) was looking at the SAGE air defense computer at the Boston Computer Museum. I would be lucky in my career to work with Gordon and three other people I consider as mentors. They would all work in this one company. Our trip to North Carolina was part of a year long effort to get out of the building to understand our market, customers and their applications. How I learned to “get out of the building” is in the next post.